Twisted Plastic - Events Gallery - A Weekend of Heroes 2009 - A Family Man - In my opinion the most impressive Hot Toys figure on display was Don Corleone from the movie The Godfather. The sculpting and painting on this figure is excellent. they even painted the detail accents and veins on his hands. 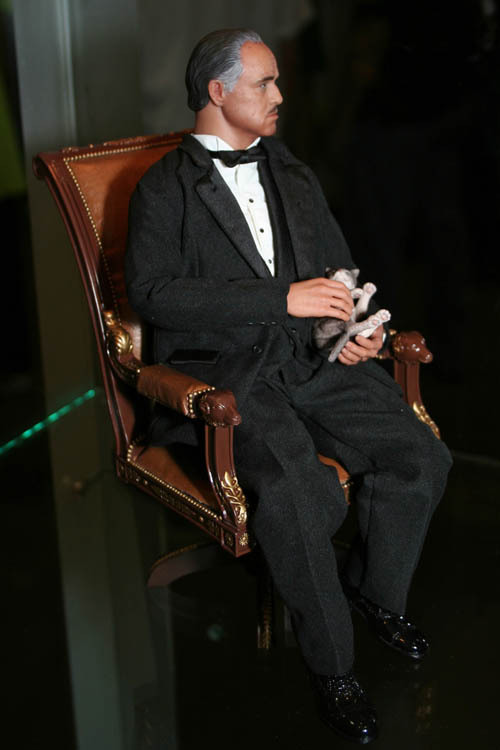 In my opinion the most impressive Hot Toys figure on display was Don Corleone from the movie The Godfather. The sculpting and painting on this figure is excellent. they even painted the detail accents and veins on his hands.